The ornaments look gorgeous Tracey! Pat's been wrapping/shopping and I've been shopping...progress being made! Wow!! Those are just gorgeous!!!!!! The ornaments are beautiful. Best of luck with your final holiday prep. These are amazing. What sweet teacher gifts. I'm sure they will love them. Merry Christmas and enjoy your whole family being together. These are awesome :) such pretty snow globes! Oh my, Tracey and Brooke: stunning, thoughtfully created, heart-warming ornaments guaranteed to light up the teachers faces and make them feel extraordinarily special. In awe! Speaking of 'in awe,' Tracey, I'm SOOOOOO happy that you've stepped up to keep Tag, You're It going! LOVE that challenge and I'm aiming to commit to playing regularly! A wonderful 'justification' for all the tag dies I ordered on Black Friday *grin* You'll be busy, for sure, but just know how very much we appreciate all that you do. The Team: WOW! These are SO cute! I want to make these, too! If I can EVER find the time:) They are darling! Very, very beautiful!!... her teachers are gonna just love them and will cherish them forever I'll bet... teachers are like that aren't they? These could not be more gorgeous!! And that sweater is fantastic :) Thanks for joining us this week at Merry Monday! Oh, wow, these are gorgeous! gorgeous is right! Wow, love these! Yes indeed, take a deep breath and tackle one thing at a time and most importantly enjoy your time together! They are beautiful and I think they will be one of the most loved teacher gifts! Merry Christmas to you and your family , Tracey! FABULOUS teacher's gifts Tracey! Wishing you and your family a FABULOUS holiday season, and all the best wishes for the coming year! beautiful snow globes, the teacher will love this! this set is fantastic! Happy Christmas! Oh so beautiful! Love your teacher ornaments!! 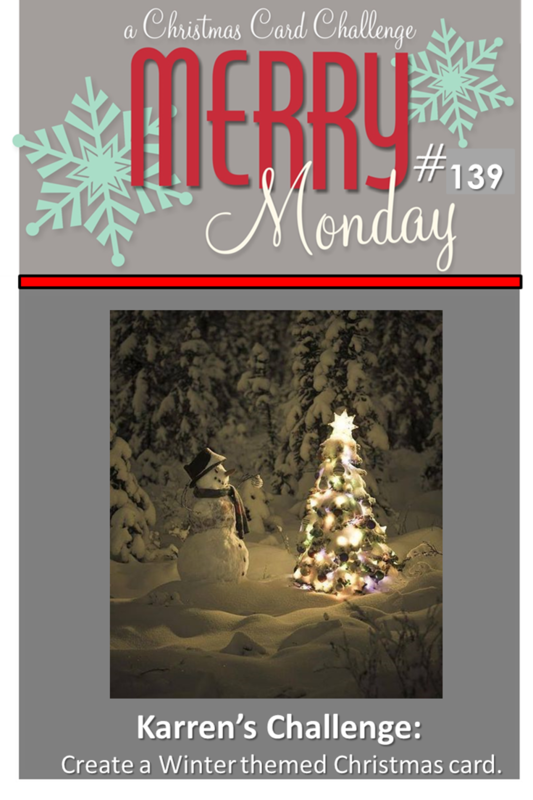 Thanks for playing along with us at Merry Monday. Totally delightful! Thanks for sharing at Merry Monday. You probably won't get a chance to even READ this until after Christmas, but I'd love to know where you were able to get the half ornaments that are so flat! Most of the ones I"ve seen are rather round. So if you get the chance, I'd love to know and Merry Christmas to you and your family! 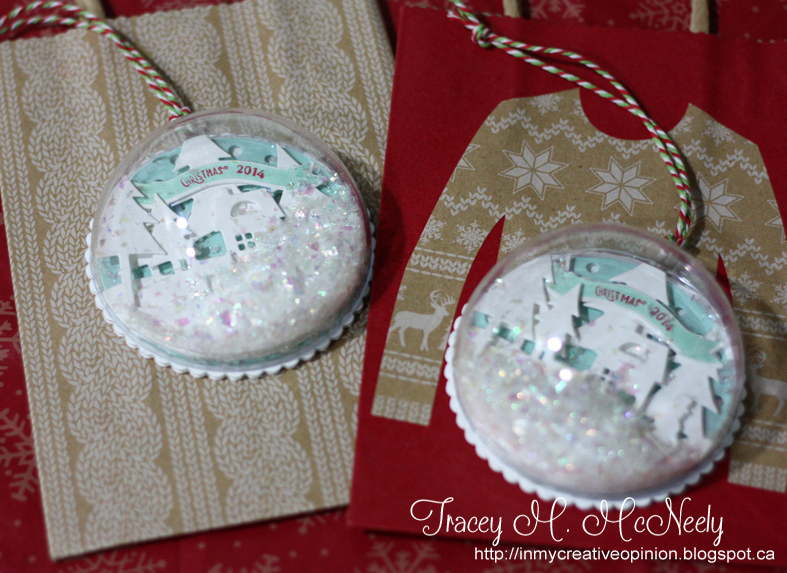 Gorgeous ornaments Tracey! So sweet and pretty, I'm sure the teachers loved them. Thanks for joining us at Simon Says Stamp Wednesday Challenge & Happy Christmas! I love your sweet little teacher gifts, so so sweet and I am sure every teacher that received one of these was so excited. Love the gift bags too.